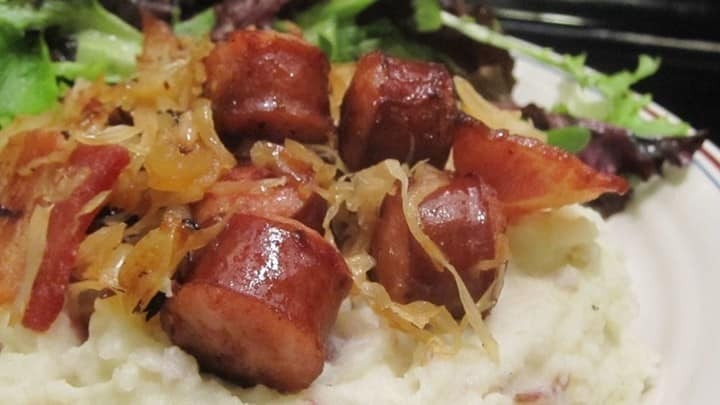 This is a recipe from a old family recipe from my friend Patti's Polish family. Allow for plenty of time to prepare and cook this dish. It is definitely worth the time and effort! Serve with hot potato salad and red cabbage. Place the sauerkraut, caraway seeds, brown sugar, and apple into a large saucepan over medium-low heat, and bring the mixture to a simmer. Reduce heat to low, and cook for 2 hours, stirring occasionally. Preheat oven to 325 degrees F (165 degrees C). Grease a 9x13-inch baking dish. New member as of late 2014, but have done a few Snack Nights under the expert tutelage of Mike!